Well it’s that time for another captivating episode of The Beer Snobs! The question for this week is what beer that is growler only would our reviewers want to see bottled. 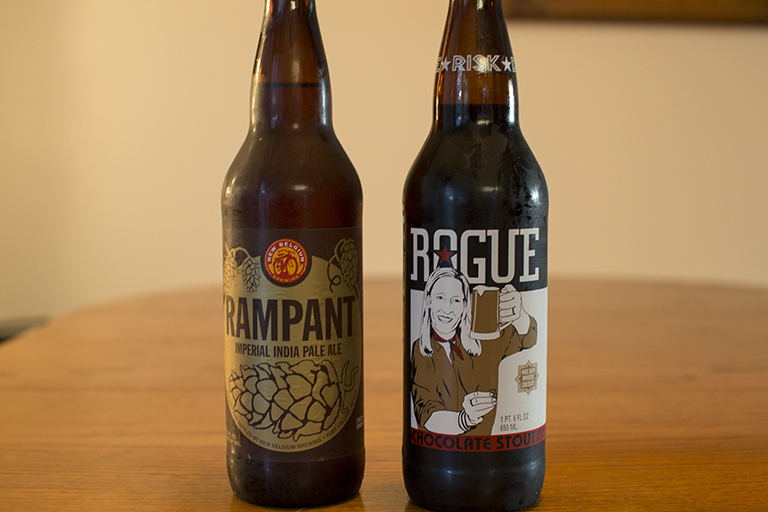 The beer that we blind reviewed this week are Rogue Chocolate Stout and New Belgium Rampant Imperial IPA. Posted in Blind Taste Testing (2011 - 2013) and tagged Chocolate Stout, Growler Only Beers, IPA, new belgium, Rampant Imperial IPA, Rogue Ales.